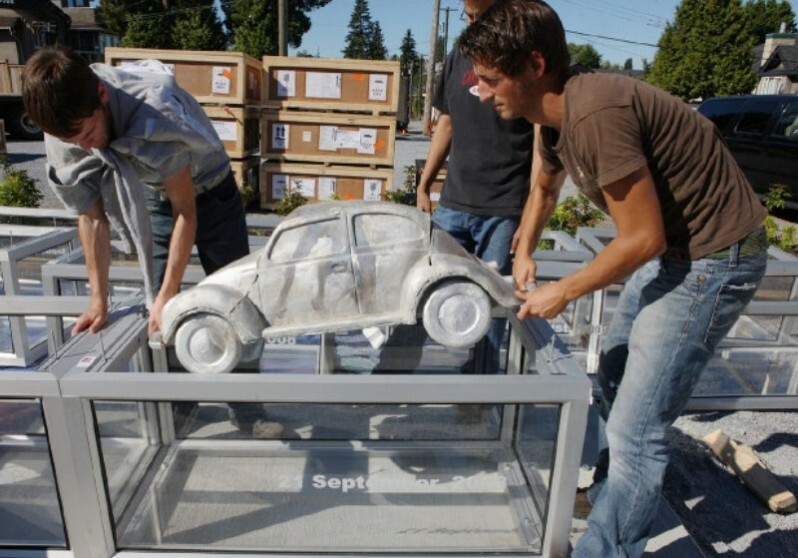 Shetty’s cast models of 42 ‘crashed’ miniature Volkswagen Beetle cars, displayed in rows of clear stacked and dated cases, draws attention to the environmental damage caused by the combustion engine. Each vehicle is in a coffin-like box, on display as a museum relic or artefact while mimicking children’s toy cars, a reference to a childlike desire and nostalgic memory. The use of plurality, repetition and sequence is frequently used to capture attention, harkening to historical religious ritual and contemporary advertising. 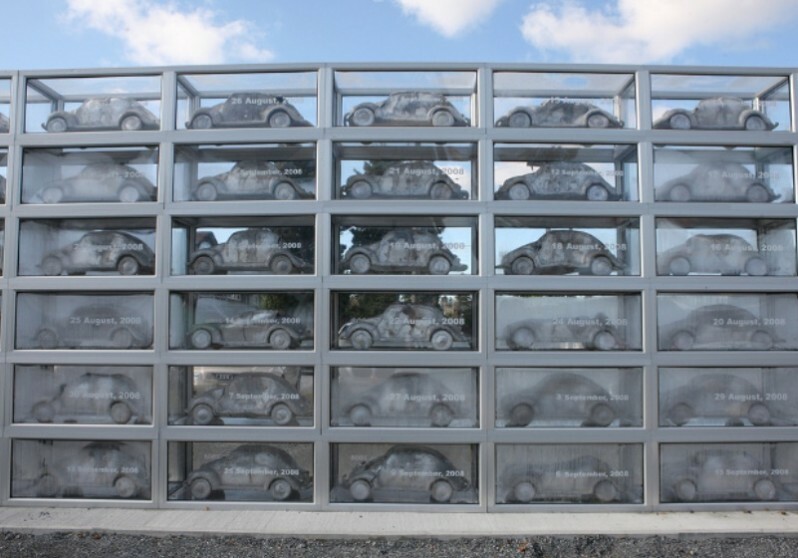 History of Loss was Sudarshan Shetty’s North American public art debut.